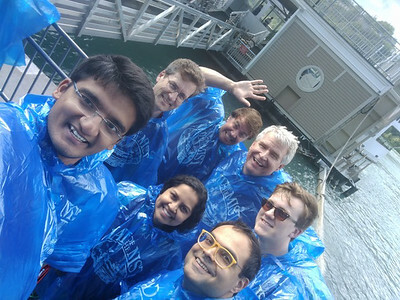 During MobiSys'17 my group and I visited Niagara Falls - just a few blocks away - several times. 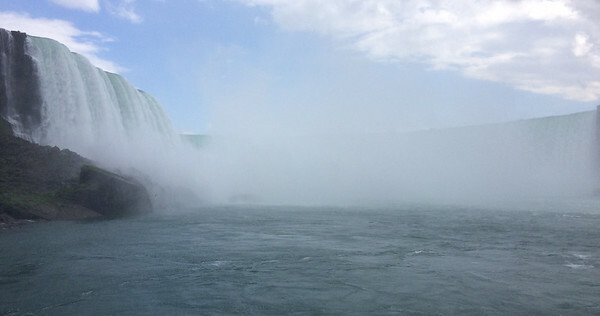 Niagara Falls is really three separate waterfalls: Horseshoe Falls, American Falls, and the small Bridal Veil Falls. 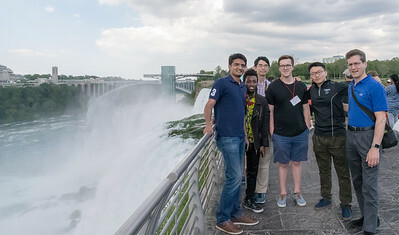 George Boateng, Varun Mishra, Rui Liu, Shengjie Bi, Taylor Hardin, and David Kotz - at Niagara Falls. 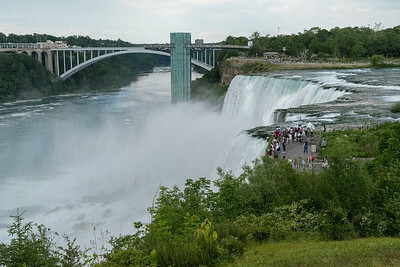 Niagara's Bridal-veil falls and American Falls. 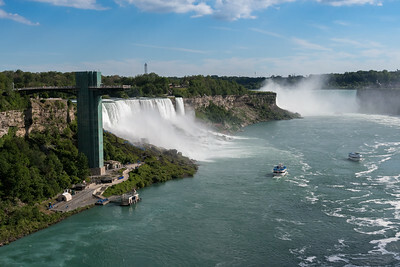 View of the "American Falls" and the bridge to Canada at Niagara Falls. 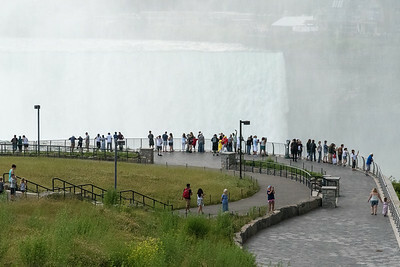 People viewing Horshoe Falls from the American side of Niagara Falls. 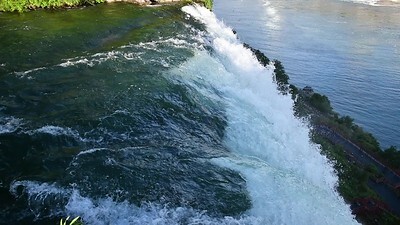 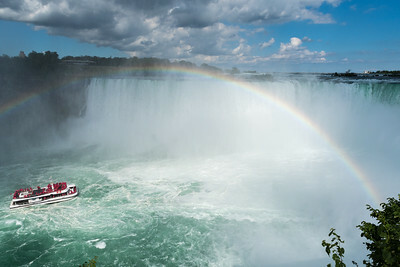 A panoramic (and distorted) view of Niagara's Horseshoe Falls in early morning. 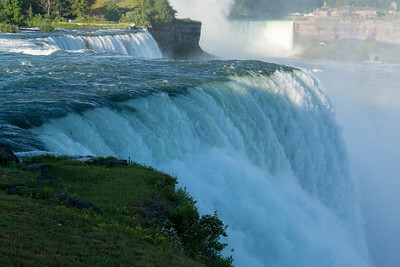 Niagara's Horseshoe Falls in early morning. 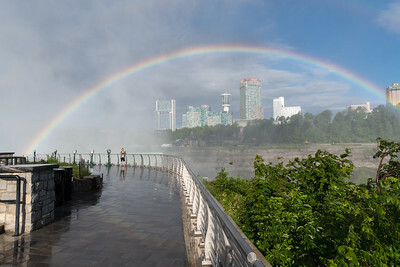 A rainbow frames a selfie-snapping tourist at Niagara's Horseshoe Falls in early morning. 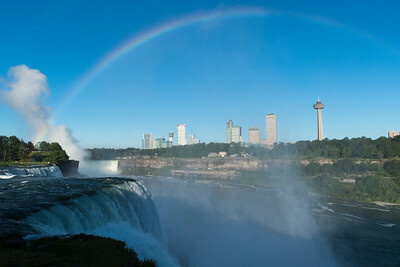 A rainbow over Niagara's Horseshoe Falls in early morning. 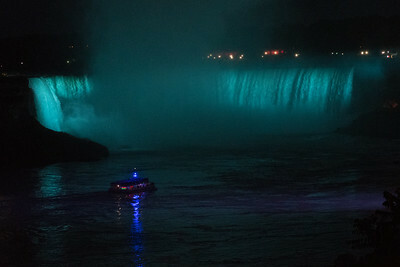 The Maid of the Mist passes Niagara's American Falls. 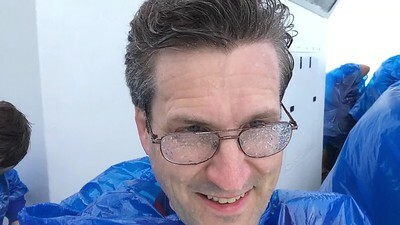 Ready for the Maid of the Mist tour at Niagara Falls. 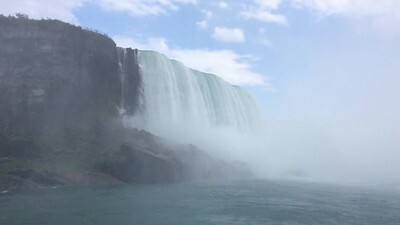 Niagara's Horseshoe Falls, from the "Maid of the Mist", ending with shot of Taylor Hardin. 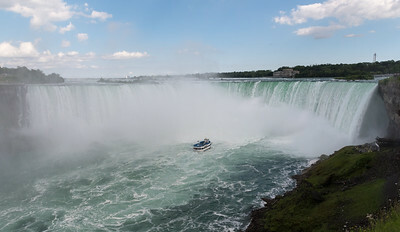 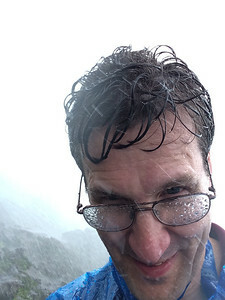 David at Niagara's Horseshoe Falls, from the "Maid of the Mist". 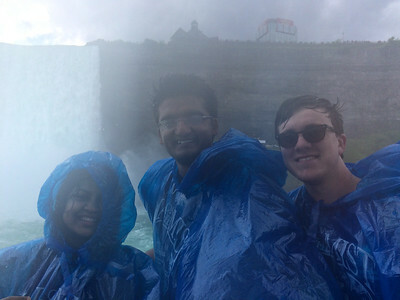 Aarathi, Varun, and Taylor at Niagara's Horseshoe Falls. 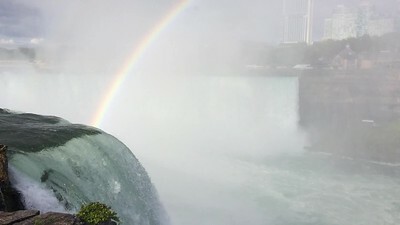 David braves the spray at the base of Niagara's American Falls. 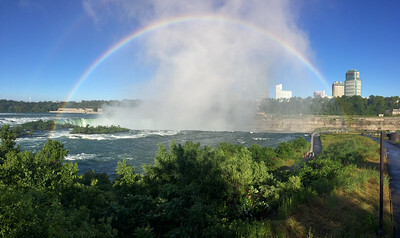 A morning rainbow at Niagara's Horshoe Falls. 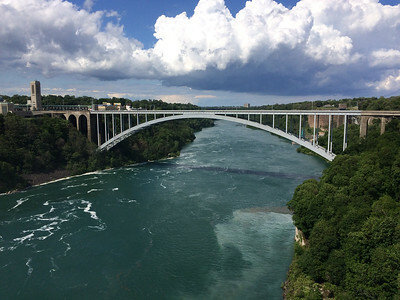 The bridge from Canada (left) to US (right), viewed from Niagara Falls. 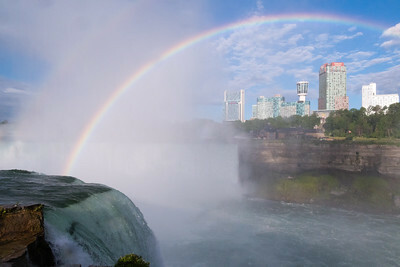 Niagara Falls from Rainbow Bridge across the Niagara River. 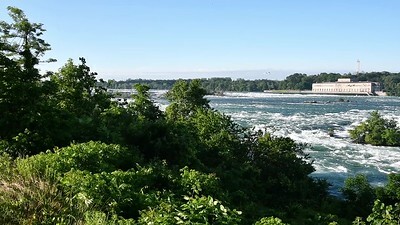 Niagara's American Falls from the Canadian side of the river. 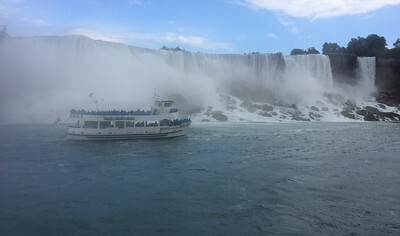 The "Maid of the Mist" approaches Niagara's Horseshoe Falls, as viewed from the Canadian side. 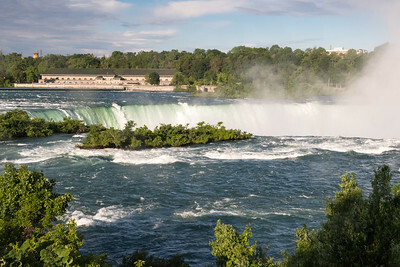 Niagara's Horseshoe Falls, as viewed from the Canadian side. 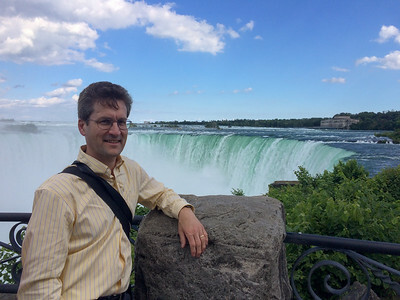 David at Niagara's Horseshoe Falls, as viewed from the Canadian side. 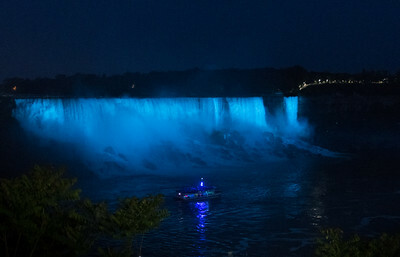 Niagara's American Falls from the Canadian side of the river, at night. 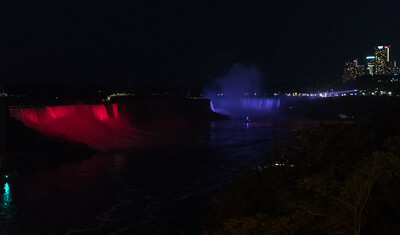 Niagara Falls from Rainbow Bridge across the Niagara River, at night when they illuminate the falls.